New Pocket Pets Pattern, this time it's a bunny rabbit! 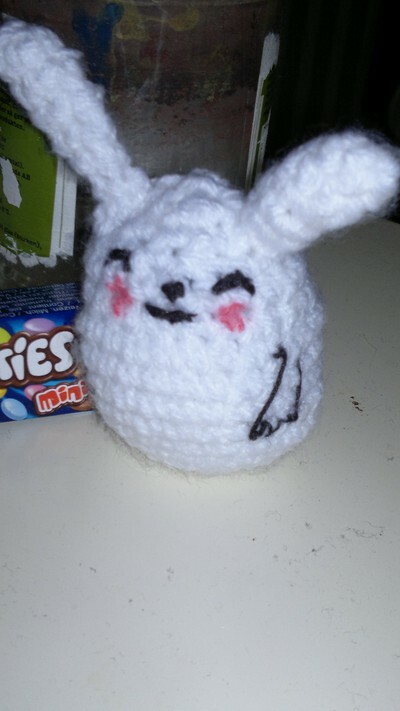 Here is my newest pattern, and this pattern is lika all other Pocket Pets patterns for free! Sew the ears to the body (/head). Embroder paws and a cute little happy face. Like all my other patterns that is for free, please don't sale them, you can give away how many you want but don't sale them.